Leslie Scott is a game designer and the co-founder of Oxford Games Ltd. Although best known as the inventor of Jenga, Leslie has devised and published over 40 other board games including such classics as Ex Libris, Anagram and Flummoxed. She is also the author of the business book/autobiography 'About Jenga', which has been published in English, Japanese and Korean. Born and raised in Africa, Leslie was educated in Kenya, Sierra Leone and England and now lives with her zoologist husband on their farm in Oxford or at a research centre on a wildlife conservancy in Kenya. 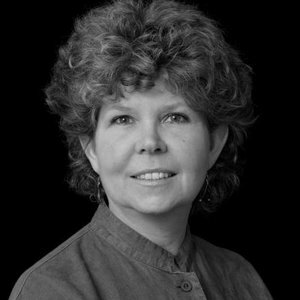 She is the recipient of the 2010 WIT Design/Inventor Award and the 2012 TAGI Award for Excellence in Game Design, and is a Senior Associate of Pembroke College, Oxford University, and a Founding Trustee of the Smithsonian UK Trust.